The usefulness of herbs and some edible flowers in cooking are well documented; however, the medicinal uses of herbs and flowers are perhaps less well known. For centuries, the natural healing properties of plants were the only pharmaceutical chemicals that were available, but the knowledge has slowly ebbed away. Interestingly, a good deal of the plant-based formulas used by many cultures across the world are now proved to have a solid basis in science. This article takes a look at some of the plants you might want to feature in your own medicinal herb and flower garden at home. The amount of space you allot to your medicinal herb and flower garden will, of course, depend on the size of garden you have in the first instance. If you live in a flat or only have access to a small garden, the good news is that you can still create your own medicinal herb and flower garden. Many herbs in particular are sun-loving and drought-tolerant, and will happily grow in pots, hanging baskets and containers on a sunny windowsill or balcony as long as they’re watered fairly regularly during the summer. Flowers such as calendulas (Marigold Calendula officinalis), rose geraniums and nasturtiums will also thrive in pots and containers. If you’re lucky enough to have a little more space, you may want to allocate a flower bed or border over to your herb and flower garden. Another alternative is to build raised beds in a sunny aspect. As long as the soil is free-draining and fairly well nourished, you should be able enjoy a thriving, useful medicinal garden! However, remember that although you will often find your medicinal herb garden to be an effective source of relief for a number of mild ailments, you should always consult your family G.P. about any health concerns you may have. Some flower and herbal remedies may be unsuitable for infants and children, so always make sure to again check any ailments with your doctor of pharmacist. Marigolds - As already mentioned, Marigolds are an excellent addition to any medicinal herb and flower garden. Calendula officinalis is an edible flower, and as such can be used to treat internal upsets such as digestive problems and ulcers. However, Marigolds can also be prepared in a recipe with lavender and rose geranium to create a natural acne treatment gel. Marigold flowers are also used as part of a soothing treatment for sunburn or chapped skin. Lavender – Used both fresh and dry, this attractive herb flower is well known for its relaxing and calming properties. However, perhaps less well known are its antiseptic healing properties; it can be used to treat and help heal cuts and bruises. Echinacea – Another popular health food store flower, Echinacea is also a stunning and striking flower in it’s own right. Echinacea is often used as a boost for tired and stressed immune systems, and is often taken after colds, ‘flu and at times of stress to give a leg-up back to full health. Echinacea, like lavender and other herb flowers, also proves popular with bees, which is great news for nature and your garden! Viola – These delicate little beauties Viola tricolor (Heartsease) are often thought of as just an attractive bedding plant. However, you might be surprised to learn that violas also have anti-inflammatory properties, and can be used to treat skin complaints such as eczema as well as spots and acne. Interestingly, this viola is one of a number of plants being investigated for their properties in fighting certain types of cancer. 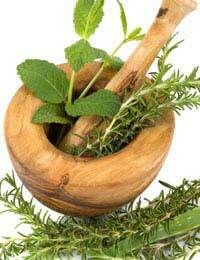 Sage – Another plant used to in cold and flu remedies; Sage has properties to help treat hot flushing, and congestion. Sage tea in particular is thought to help soothe a cough. Rosemary – This drought tolerant herb is a popular ingredient in cooking. It also produces a froth of blue, bee-attracting flowers. However, Rosemary can also be used as a mouth freshener, and is think to enhance mood, concentration and boost memory. Lemon Balm and Chamomile – If you’re stressed or anxious, chamomile and lemon balm have just the soothing and calming properties you’re looking for. If you’re having trouble sleeping, a cup of lemon balm or chamomile tea can also promote a good night’s rest. There are so many more beneficial herbs and flowers than listed here that can be used in a medicinal garden. The examples provided in this article are just to get you started; and remember, many medicinal plants are also classed as ‘weeds’ – dandelion and chickweed to name but two. So think twice before you rid your garden of these common but useful plants!